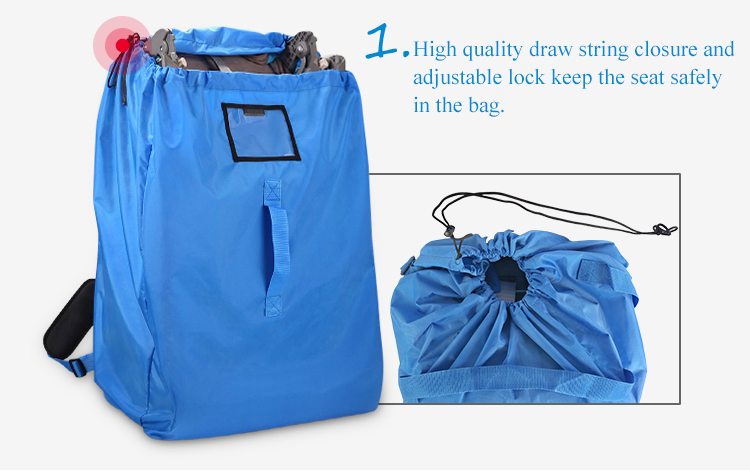 This car seat travel bag made of lightweight, heavy duty fabric,it can protects car seat from dirt ,germs and damages.And the car seat travel bag can be fold as a handbag when it not in use. 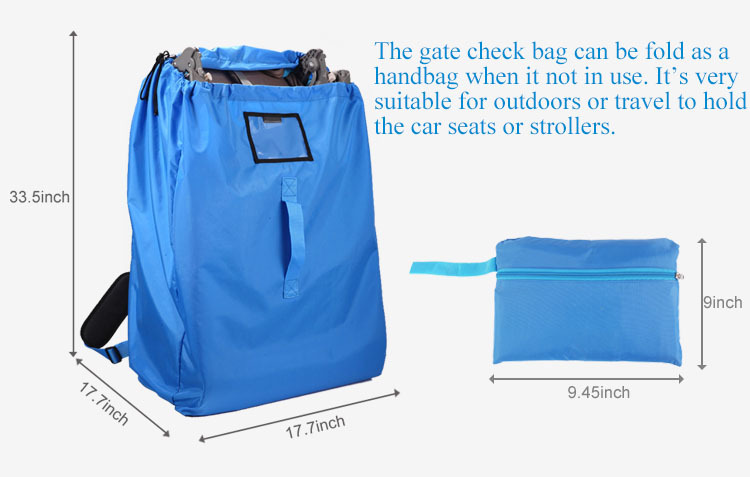 It’s very suitable for outdoors or travel to holdthe car seats or strollers. 1) .Protects car seat from dirt ,germs and damages. 2). 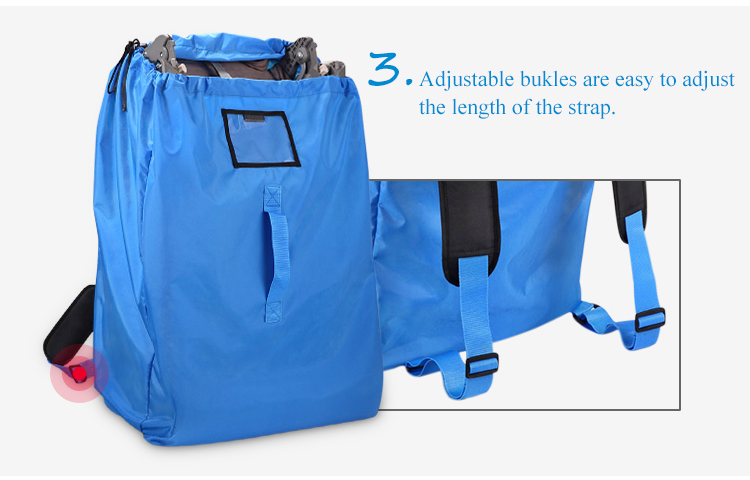 Made of lightweight, heavy duty fabric. 3). Webbing handles for easy lifting. 4). 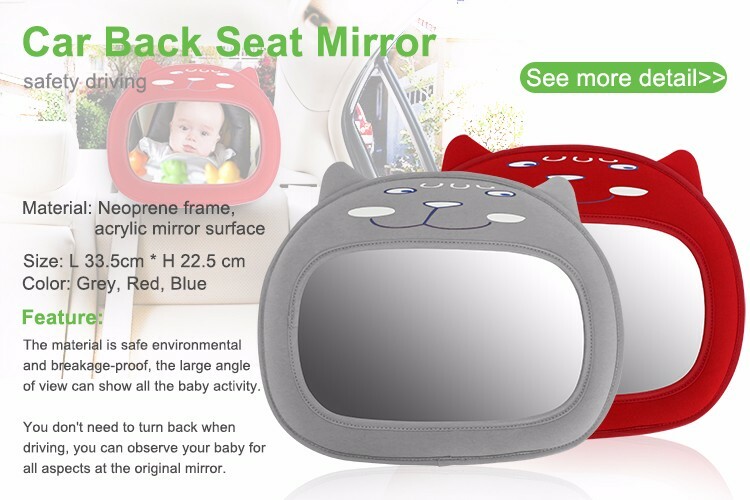 Fits and covers most standard baby car seat and baby stroller with draw string closure and adjustable lock. 5). 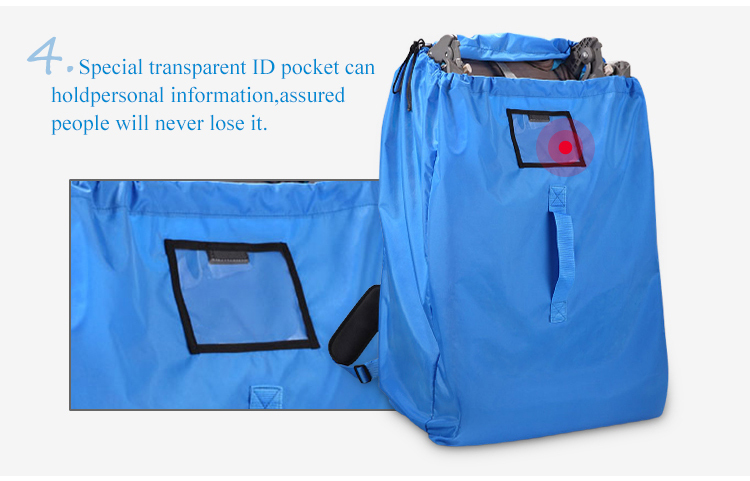 Stuffs quickly into attached pouch for traveling convenience . 6). 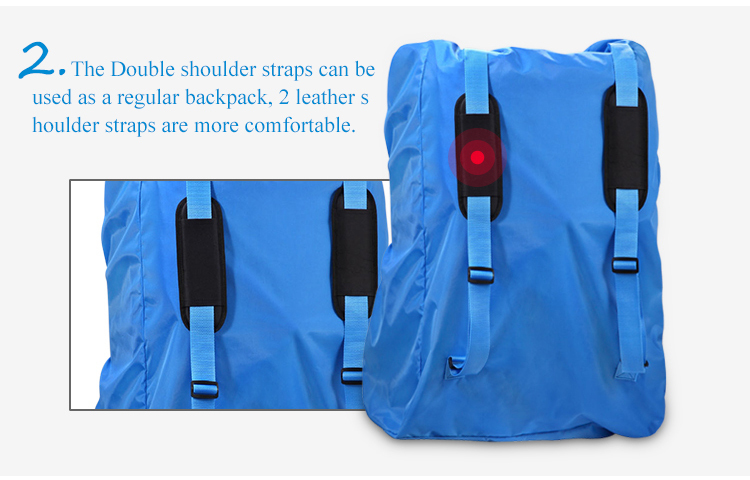 2 shoulder straps and one handle stap for easy lifting , can add one transparent ID box . 7). Not recommended for baggage check. Q: Are there any other colors available? A: The color could be customized. 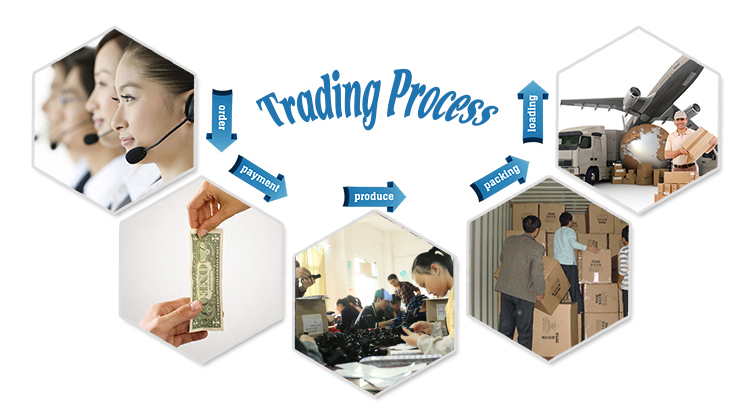 A: D/A, D/P, T/T, Western Union, paypal are acceptable for further cooperation. Q: Do I need to pay for the sample fee? 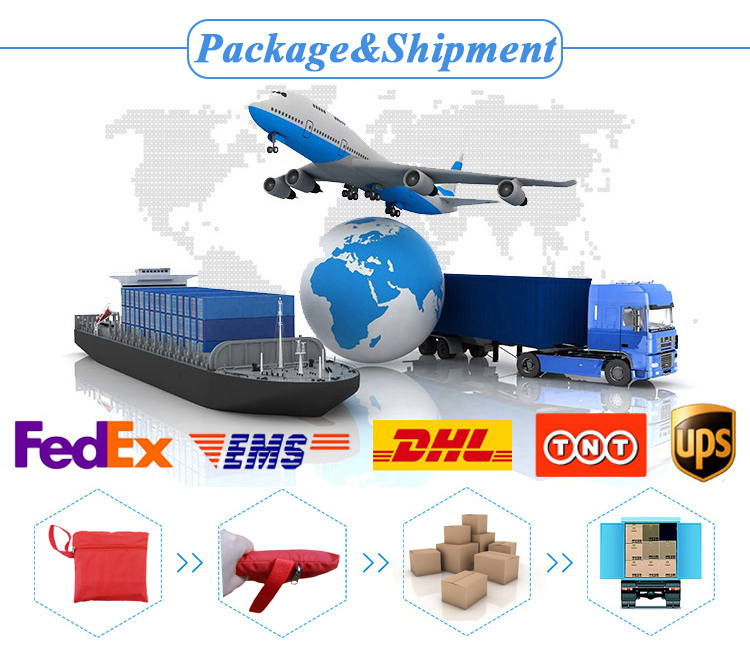 A: Stored sample are free for you , customized sample or large quantity sample need to be discussed. 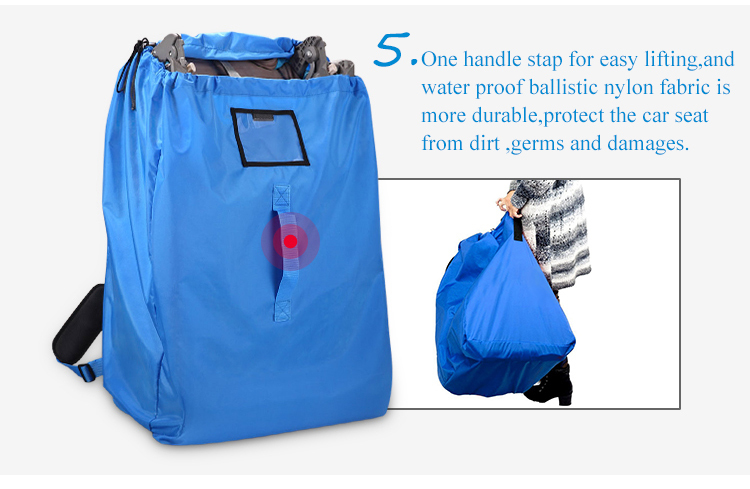 IF ANY QUESTION ABOUT GETE CHECK BAG, PLEASE FEEL FREE TO CONTACT US! 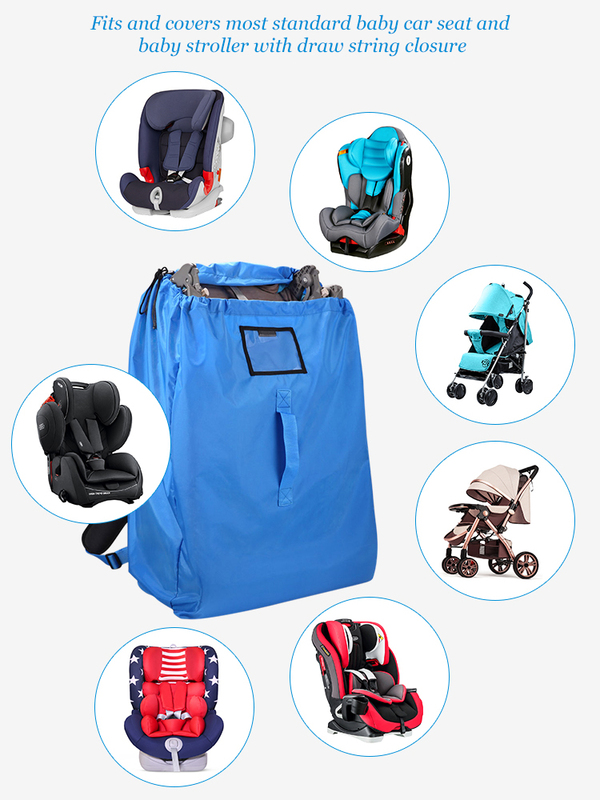 Welcome to buy or wholesale discount and customized blue ballistic nylon car seat travel bag with transparent pocket for personal information on sale with JOYREN, which is professional as one of the leading manufacturers and suppliers of baby products in China. 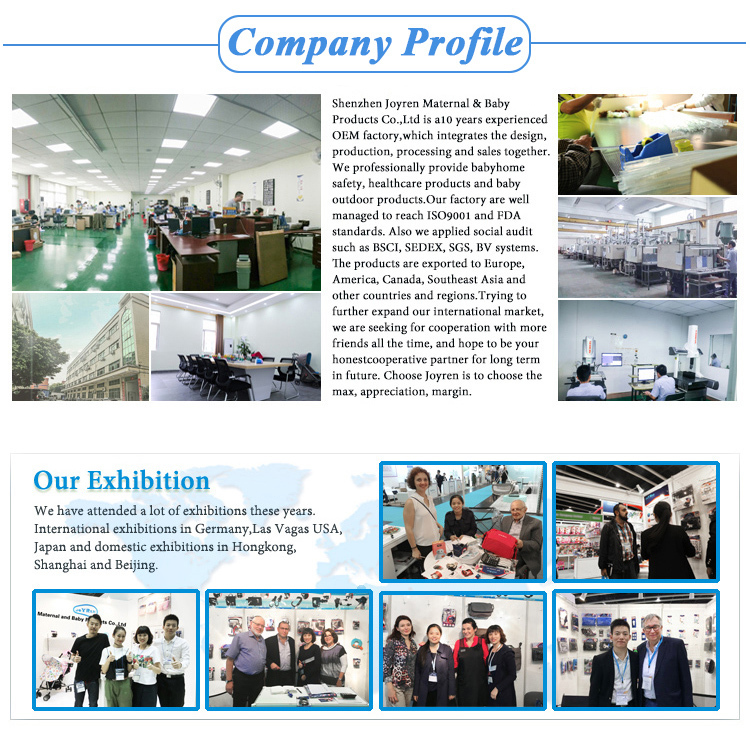 We have introduced advanced equipment and technology in order to make customers satisfied. 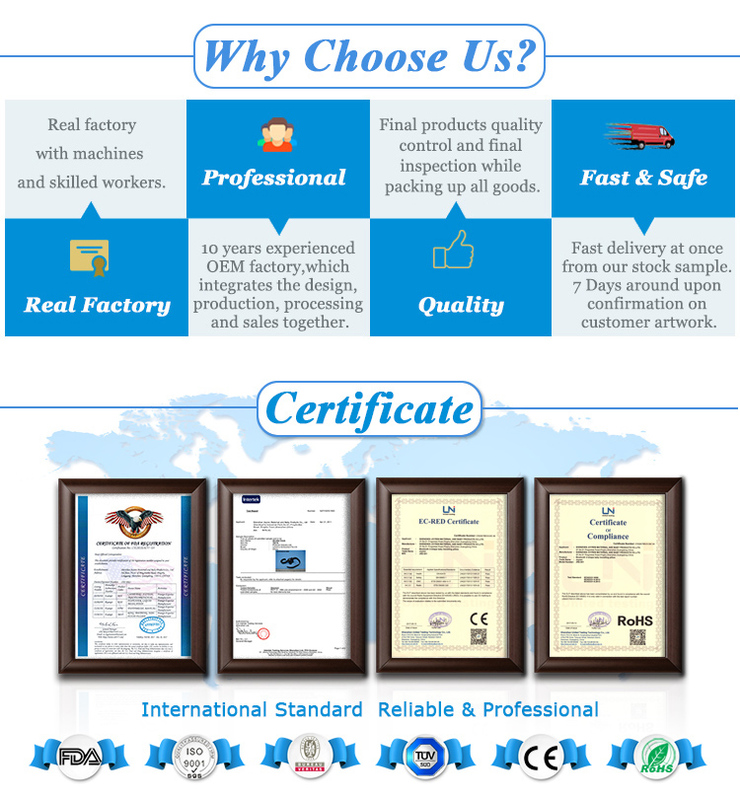 We can assure you the low price and fine and practical design of our products.